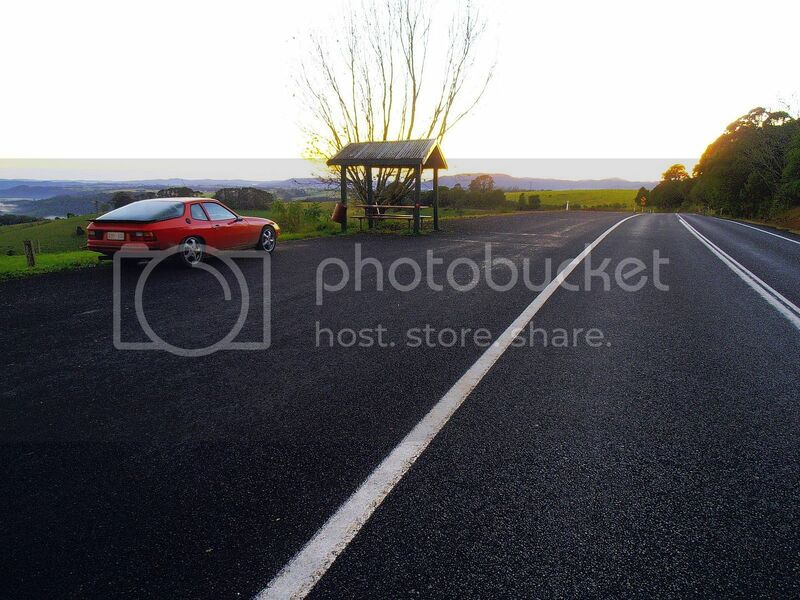 The Waterfall Way is a 165Km stretch of mostly winding, twisty and narrow bitumen between Armidale and Raleigh, which is about 25Kms south of Coffs Harbour on the Pacific Highway, so including the motorway type highway it becomes around a 190Km stretch. Depending how you approach it, the Waterfall Way is either the slowest and potentially most dangerous leg of the journey from Adelaide to Coffs Harbour, a pleasant day trip from Coffs taking in some impressive and beautiful scenery, or a perfect excuse for a long weekend getaway from Sydney or Brisbane. 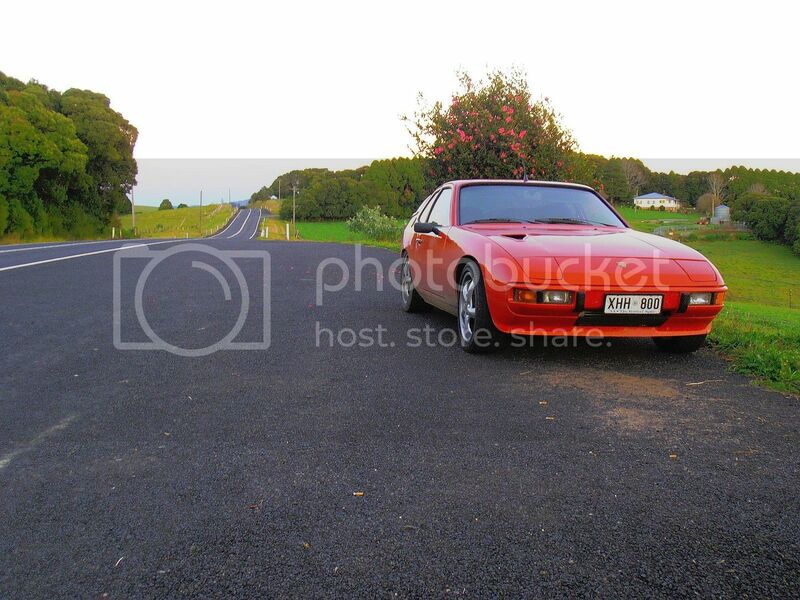 Starting from the eastern end, close to the ocean, this road is a fairly placid drive at the speed limit of up to 100Ks with some larger radiused bends and a few shorter straights to the small town of Bellingen. A smaller "alternative lifestyle" villiage, a few pubs & clubs, caffes, art & craft shops, galleries, etc. 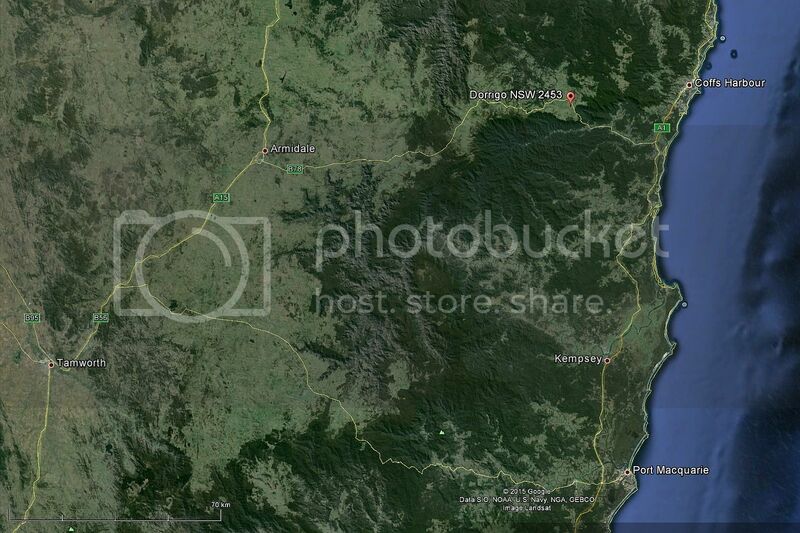 but nowhere as "alternative" as say Nimbin, farther up north. After the 40K town limit however the limit increases to 80-100, the bends tighten up a bit, the altitude here is still only around 20m above sea level and slowly rises to ~70m following the Bellinger river to Thora. Over the next 20Ks or so the road climbs quite steeply to near 800m, the bends become very tight 1st & 2nd gear corners, left to right to left to right and so on. Many hairpins and here the 924 really excells. The climb requires power, torque really and lots of it. Now you really do need at least the power of a 931, but the supercharger pulls like nothing else all through the whole rev range. Oh yes, you do have to throttle off approaching most corners hard, and brake hard at times too. Its virtually impossible to keep the revs up into the corners, they tighten up and some open out mid way. I`m talking 180* bends, some even tighter, nothing less than 90*. Where a turbo would bog down at lower revs the SC just screams. Where a manual has 4,5 or even 6 gears, you can only use 1 or 2 here and neither will be ideal. The torque converter in an auto has between a 1:1 ratio with some slip, but is fully variable to ~2.5: 1. 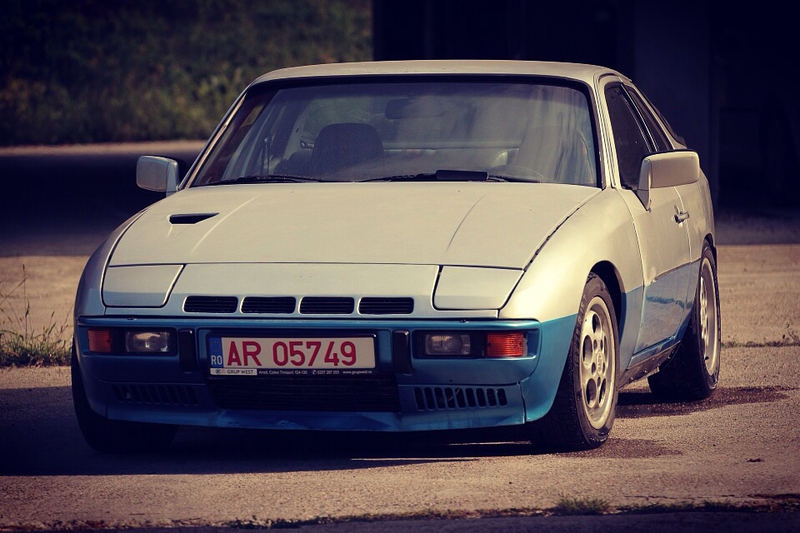 With the 944 trans & gearing, the 6.5K redline is over 70Km/H in first gear however, and I can pull 80 easily. Manually drop it into 1st and leave it there for most of these tight bends. It is so easy to well controlled drift through many corners (I believe) accelerating uphill. Downhill is another matter though, you do need good brakes, and a calm attitude here. 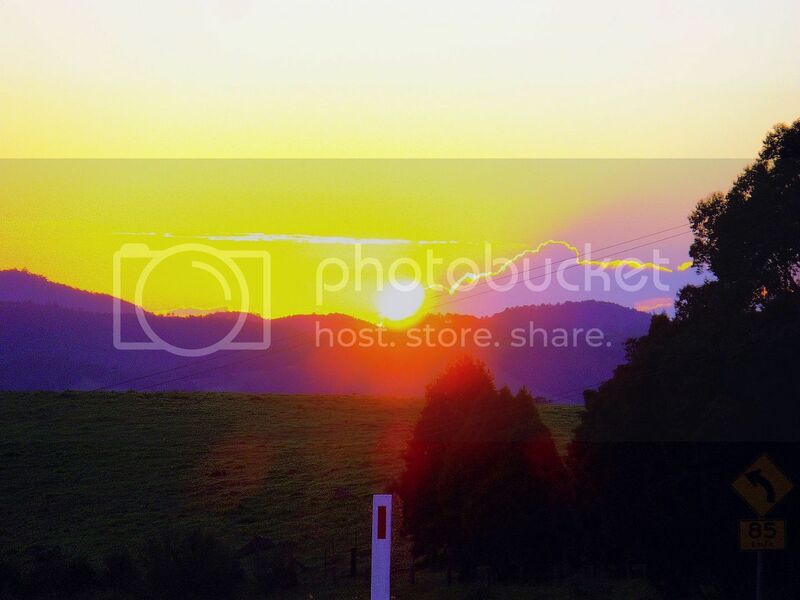 These pictures were taken just after sunrise, looking east over the mountains, some 20 Ks or so west of Dorrigo. They may be grainy due to the low light but the colours are natural for that time of day. 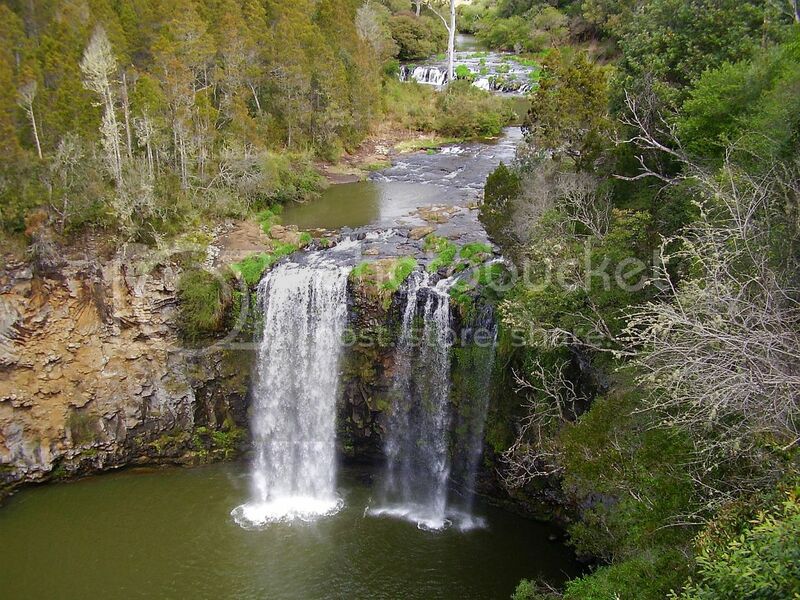 This is Dangar Falls, only a kilometre from the town of Dorrigo. A popular lookout, walking and picnic spot for the tourists. For the locals though it is a swimming hole and cool, very cool, bloody cold even, skinny dipping spot. If you really have the balls, you could ignore the warning signs and take the 30m jump. That is not water, it is "mountain mist" low lying fog before the sun warms up. 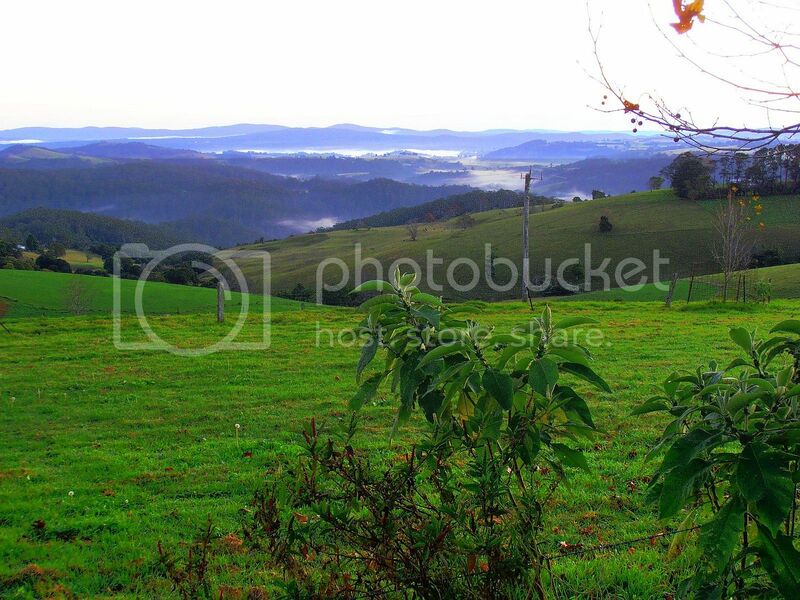 By now you have passed the small town of Dorrigo and the road opens up to some longer straights where it may be possible to double the 100Km/h limit before approaching tighter corners. 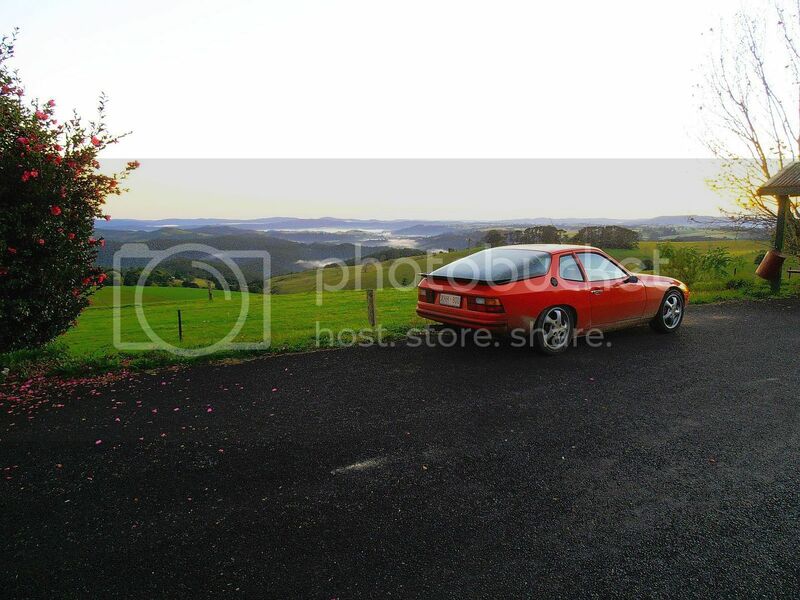 There is around 100Ks of faster but still very winding driving all the way to Armidale. Not many overtaking lanes here and a log truck or elderly driver & carravan can really slow the trip. Even a tourist below the speed limit is frustrating and you do need boost to take advantage of the infrequent and often short overtaking areas. The altitude increases from ~750m to over 1300m, with more windy road, lots of it that can be taken at maybe the 100 limit in a well set up car, but advisory signs are often half that. Also some more shorter straights as the country opens up more to some farms and paddocks along with National Park. This road used to be called Route 78 but was renamed The Waterfall Way for good reason. The next little town you see, if you don`t blink, is Ebor. Population about 30 but big enough for a pub, this is Australia after all. 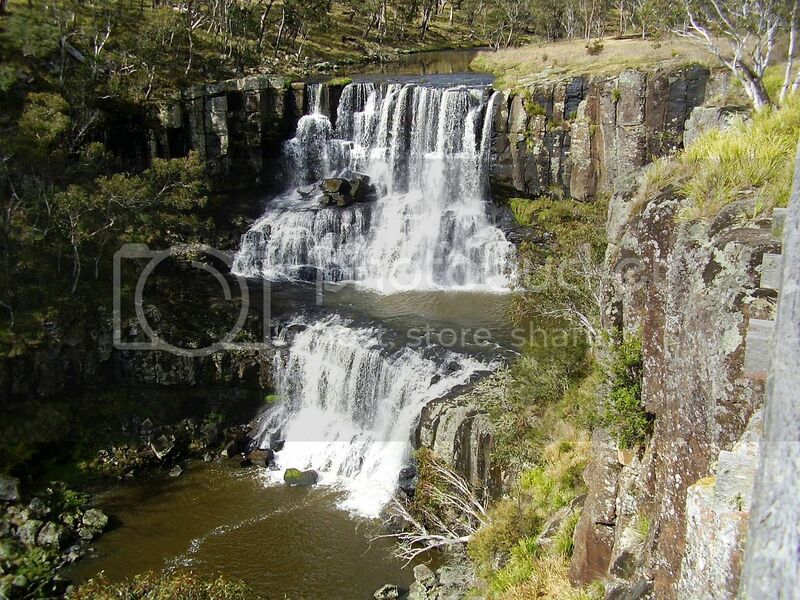 Within crawling distance of the pub is Ebor falls. 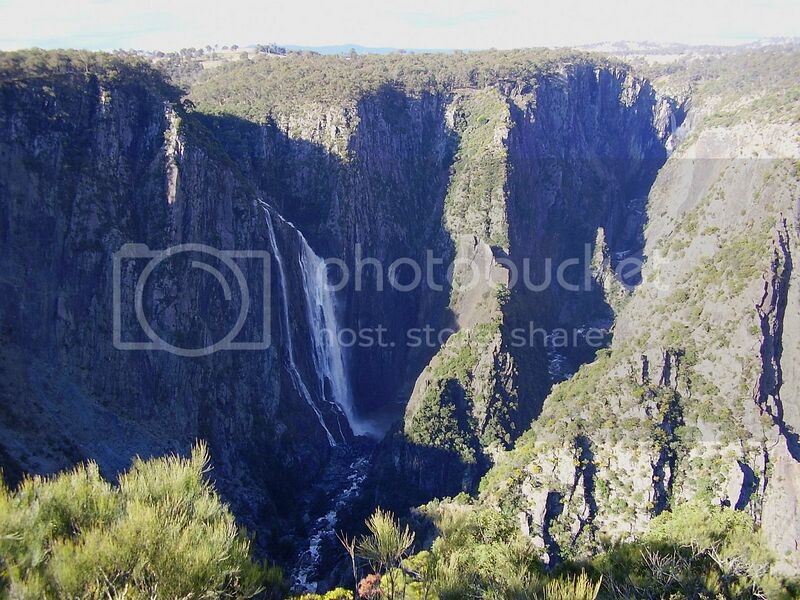 A leisurely 1/2 hour drive away, or about 15 minutes in a Toofah, you see a sign to Wollomombi Falls. A short detour on a dirt road brings you to a car park, with various hiking trails leading away & lookouts. 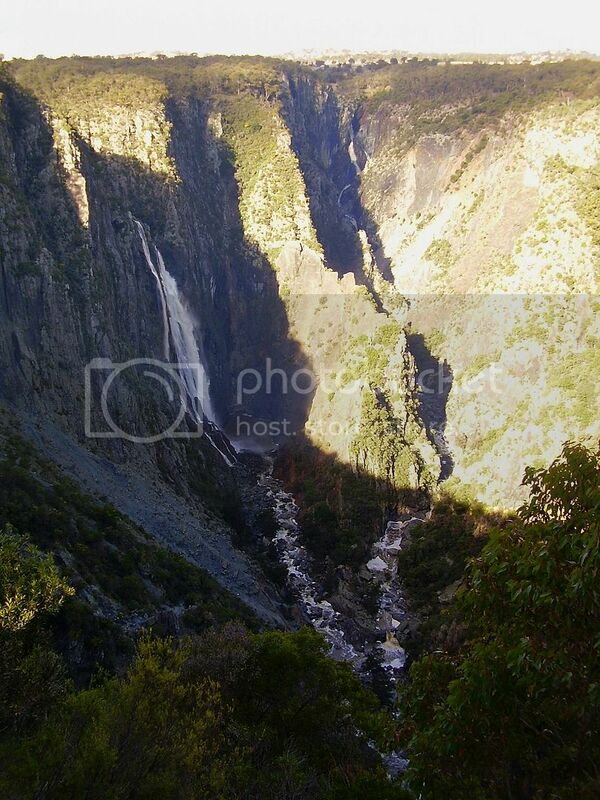 These falls have a single drop of at least 100m, depending on the previous rainfall. A mere trickle during dry months and a raging torrent after heavy seasonal rains. This time of year was neither. Armidale is around 40Ks away, so depending on where I`m heading either keep driving there and south via Tamworth to Adelaide, over 1700Kms away, back to Coffs in 2 hours or perhaps spend time with friends in the area. Overall it is quite an enjoyable drive, much more so in a Toofah. Would personally rate it at around 6 - 7, with being stuck in city traffic a 0. That is a great drive. 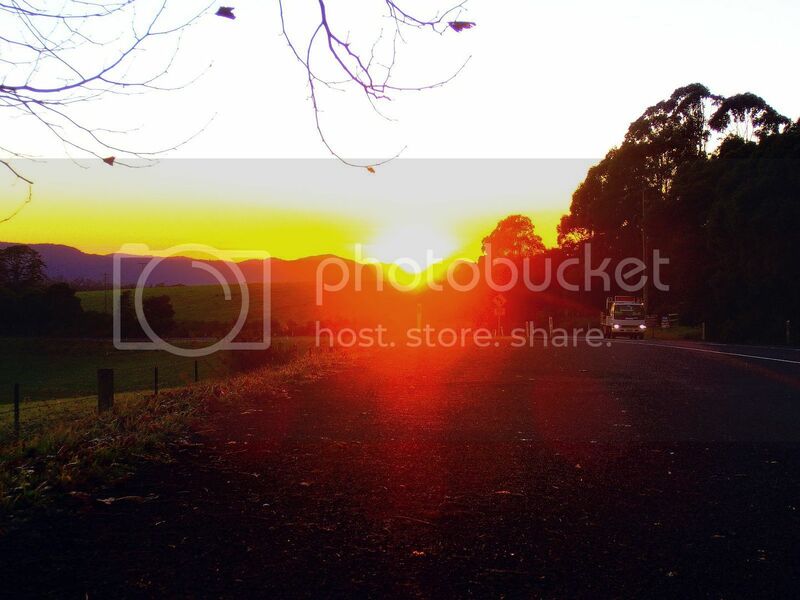 I was up that way some time ago and almost cooked my engine going up that hill to Dorrigo. 40 degree heat stuck behind a truck full of cows. Great story about your drive and photos. Ha ha, how true Lefty. Been stuck behind the same truck myself. First gear crawl watching the temp gauge climb up to the red while trying to drop back enough for some airflow.